On Crownit you can upload your Grocery, Travel & Hotels, Food Delivery or any kind of bills and stand a chance to win iPhone, vouchers and more every week. Crownit is basically a survey app that companies like Emami, lenskart, Pizzahut, netmeds andMcDonald's Partner with to understand the behaviour of the consumers, how much they are spending, what products they are interested in, etc... etc. And yes, they get paid for all that and share some part of their revenue with you. What will you get for uploading bills? 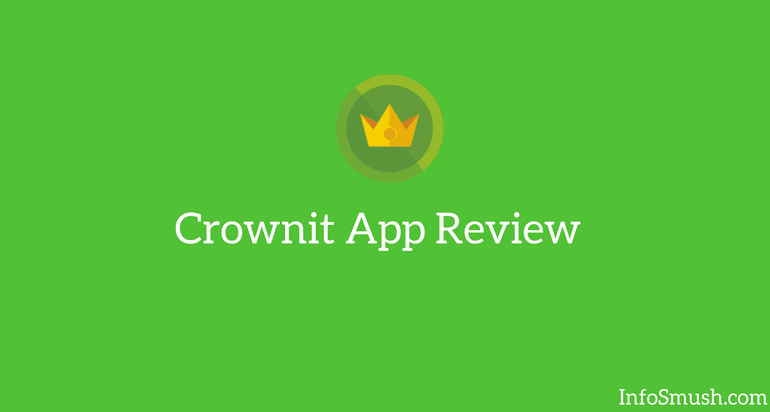 Crowns are virtual points that you get when you shop and avail cashback offers listed on the Crownit app. You can also earn Crowns by referring your friends or win in Weekly Rush(more about weekly rush later in this review). 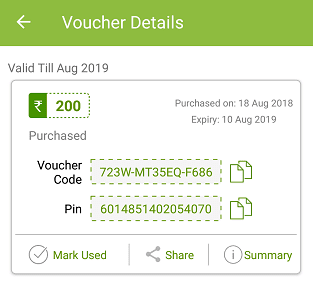 You can redeem Crowns for mobile/DTH/Landline recharge, Vouchers and Coupons. You can win Gems in Weekly Rush and Tambola. all the 4 corners should be visible. You'll get 3 things; Perks, Tickets, access to Games and Surprise Perks. Perks are the cash back & discount offers, coupons, and deals. Perks are the discount and cashback coupons/offers for various online and offline shops like Florista, Shoppers Stop, Myntra and BigBasket. You'll receive these perks for uploading your bills. For every bill that is approved, you will get 4 surprise Perks. Surprise perks are more discount offers and coupons. For every bill approved you'll get 1 ticket. These tickets give you entry to the Weekly Rush draw. 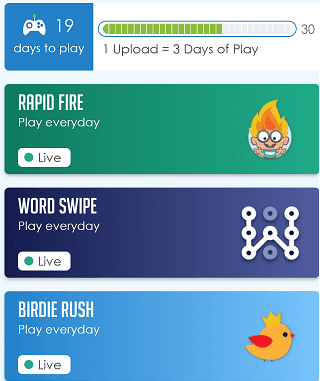 Weekly Rush is a weekly draw where users can win many prizes including iPhone7, Google Pixel 2, Crowns, Gems, and many Gift Cards. The draw happens every Friday at 3 PM. Every ticket has a unique number. If in the draw the number matches with your ticket you are eligible to win. You need to claim your prizes within one hour after the announcement. After that prizes can't be claimed and you'll lose your prize. If your friend(the user you referred or the user who's referral code you used) fails to claim the prize before 4PM you can steal their prize. For example: Suppose, you register and enter my referral crowneq2t. In the weekly rush, I 100 Crowns but couldn't claim the prize in time because I was watching Dragon Ball Super. Now you'll be able to steal the prize within 4 to 4:30 PM. You can steal prizes between 4 - 4.30 pm only. The first one to hit the ‘Steal Prize’ takes away his friends' unclaimed prize. On Crownit you can play many fun games like Tambola, Word Swipe, Rapid Fire and Birdie Rush. 1 Bill upload = 3 Days of Play. You can win Gems, Amazon Gift Cards, Crowns, Weekly Rush Tickets and more according to your rank. You can earn Weekly Rush Tickets, Crowns and more by referring your friends and family. Another advantage of referring your friends is that you get to steal their prizes when they fail to claim them. Your referrals can steal your prize too. Friends include the user you were referred by and the users you refer.